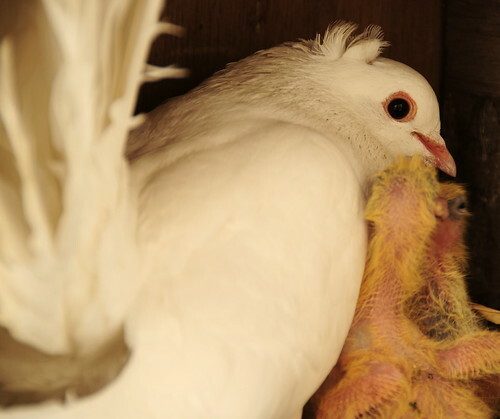 Not long ago, I was asked about Softmint – the first pigeon born at our house. I have great pleasure in sharing this photograph of Softmint feeding his young… It’s hard to believe he was born here himself. The one thing I still haven’t been able to get over is how incredibly UGLY baby pigeons are. It still baffles me how they transform in a couple of weeks. It was a beautiful day today. Perfect temperature, clear skies and the gardening was “up-to-date”. The children spent most of the morning playing with their new friends. 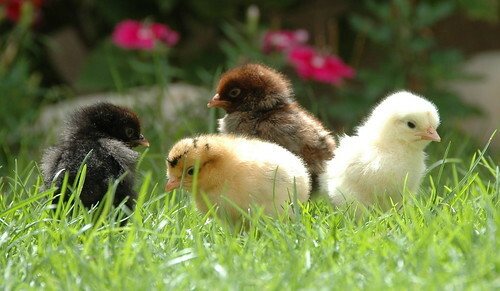 The black one started the trend of playing catch with Yousef.